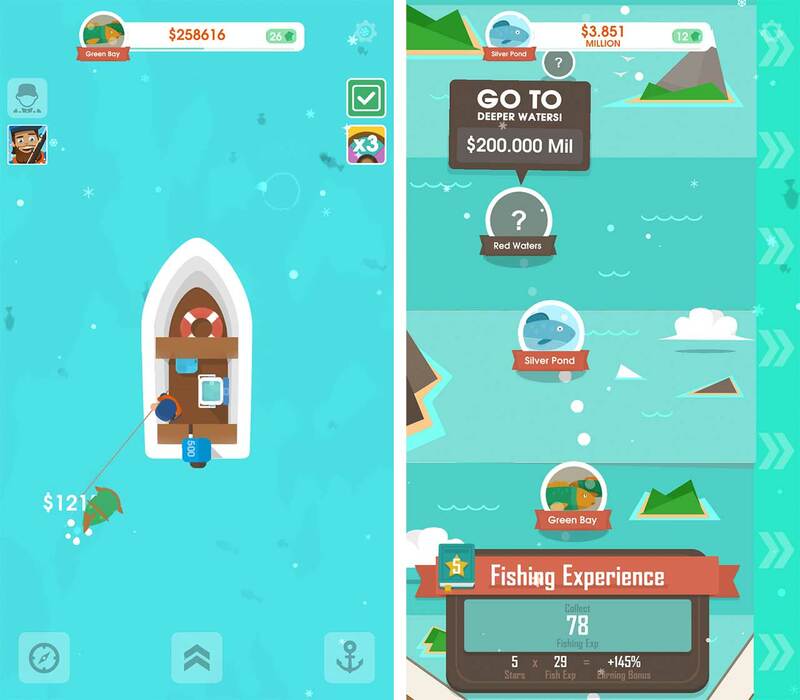 Hooked Inc: Fisher Tycoon is a mobile game that needs the player to play often enough to advance, and that’s about it. 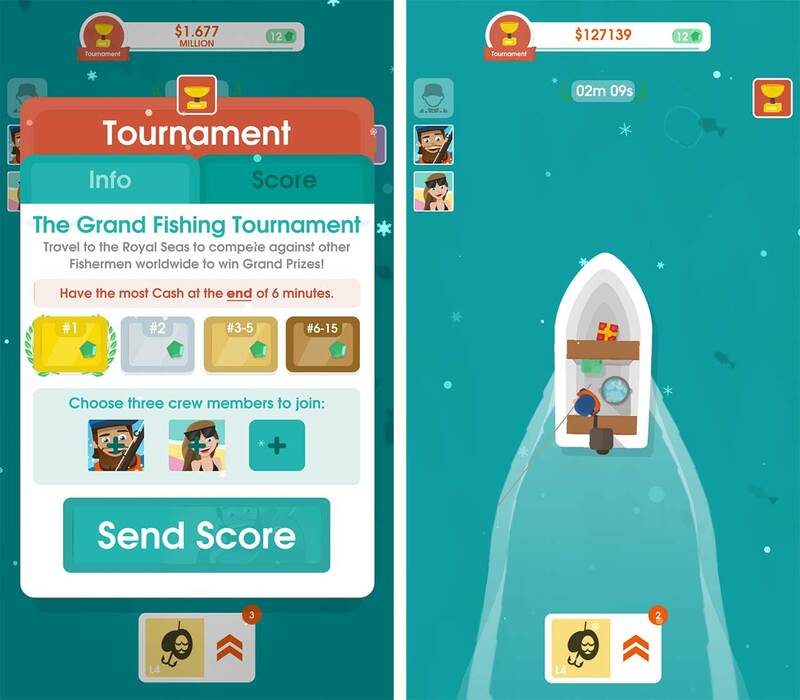 The goal of the game is to catch a lot of fish, a task that’s not too hard. You simply swipe around the screen overtop of all of the fish you see swimming, and the game catches them. Each fish is worth a small amount of money, but the more you play you can buy multipliers and other perks. There are a few levels to the game as well. As players accumulate money, they can travel to deeper and deeper waters where more valuable fish live. As players fish, they’ll sometimes catch boxes of money and other goodies too. The value of these items can double if you watch an ad, which isn’t worth it every time, but sometimes it definitely is. For example, there’s a character you can unlock during gameplay that will catch fish for an hour while you’re not playing, so you come back to a good chunk of money. Doubling this can result in a prize worth millions. Additionally, sometime the game will prompt you to participate in a six-minute fishing tournament. This means that you’ll get to compete in a six-minute time trial to see where you rank on the leaderboards. Overall the game is well designed with a good art style and addictive gameplay, but the lack of depth makes me wish Hooked Inc offered a little bit more. 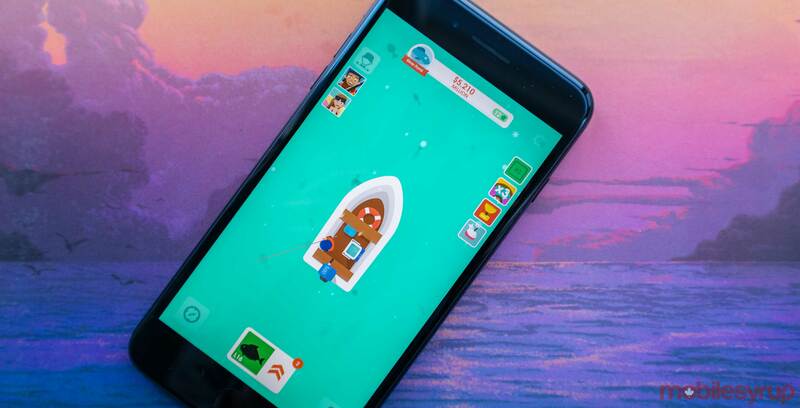 You can download Hooked Inc on iOS and Android for free.